The HSA Speed Championship, 22 years old in 2019, provides the perfect starting point for new competitors to the sport of Speed Hill Climbing and Sprinting and also appeals to the more experienced competitor. Widely recognised as the premier clubman’s speed championship you may enter with just an Motorsport UK ‘B’ Speed licence, which does not require a test or medical. Comprising more than 30 rounds throughout the British Isles including iconic venues like Shelsley Walsh, Prescott, Gurston Down, Castle Combe, Aintree and Goodwood. There are 21 different classes, which cover cars of every type from your daily road car, with minimum safety additions, through modified and specialist cars to single seat racing cars and classic cars from the past. All cars must comply with Motorsport UK rules in the ‘Blue Book’, which you receive with your competition licence. The championship is scored on the best 9 results so you can choose where to compete and as much or a little according to your personal preference. The unique scoring system gives all competitors the opportunity to score consistently by gaining points from both their place in class and their best time achieved. 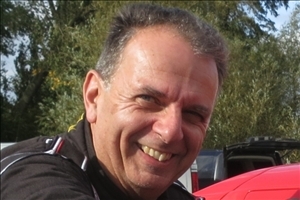 All rounds of the Championship are reported on the HSA's web site and in Speedscene magazine together with plenty of action photos.The annual awards will be presented at an event following the final round. 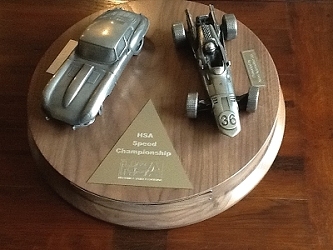 For full details about the HSA Speed Championship please go to the Regulations page. The Annual Awards lunch for the 2019 SBD HSA Speed Championship will be held at the Prescott Clubhouse on November 24th.